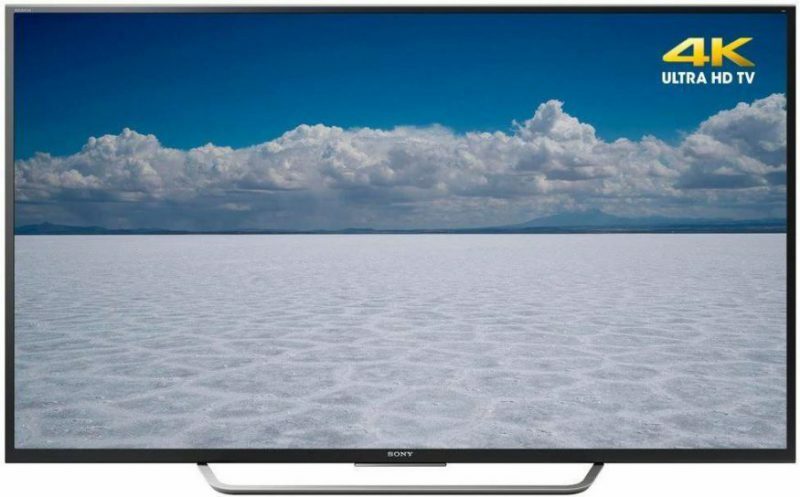 Sony’s XBR65X750D is part of their entry level lineup of premium HDTVs. This lineup contains five different models which include the model under review here. For more info on these entry level models click here. The X750D is only available in a 65″ screen size and features an eye appealing narrow bezel design that measures just over a 1/2″. The displays profile is somewhat slim with a maximum depth of approximately 3-inches which is due to its direct-lit LED design. By comparison, Sony’s higher-end XBR930D is much thinner with a maximum depth of 1.38″. The screen is made of clear acrylic (plexiglass/plastic) and contains a semi-matte finish. For illumination, the X750D uses direct-lit LED backlighting which uses rows of LEDs spread across the displays back plane. This lighting technique is different from the typically used edge-lit LED backlighting which utilizes LEDs along the edges of the TV’s screen. The advantages of direct-lit vs. edge-lit LED designs is direct-lit offers more uniform screen lighting and a brighter picture image. It can also improve contrast and black level performance. The silver finish metal pedestal stand provides decent stability for a 65″ screen size; however, it still felt a bit wobbly when I gently rocked it back and forth from the top of the panel, yet was in no danger of tipping over. 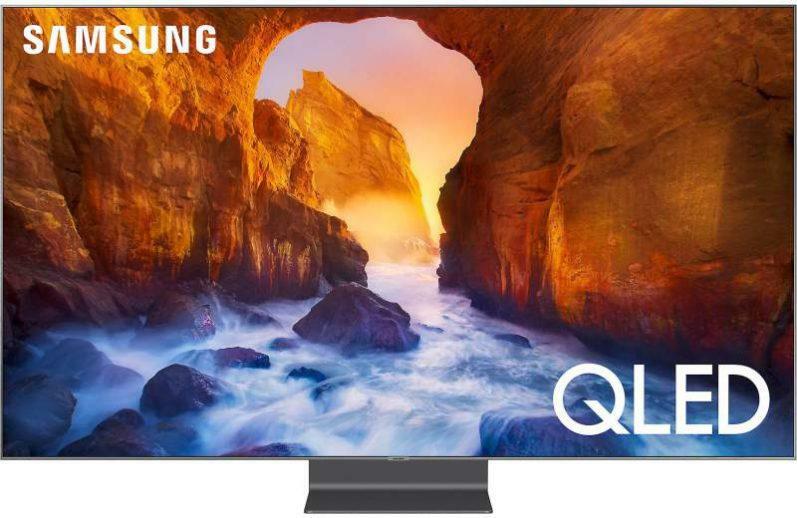 Even though the 750D uses a 10-bit display panel, it does not support a wide color gamut which means it can’t produce the wider range of colors typical of TVs that support a wide color spectrum. Furthermore, this also means HDR images will not produce the most dynamic and vibrant color images. The remote control included with this TV is nothing to write home about, and is just your basic type wand, yet provides the necessary buttons and functionality to operate the TV from the comfort of your sofa. The XBR750D does have voice control capability; however, the supplied remote does not offer this function. You can purchase separately the RMF-TX200U remote control that will enable this feature. 3D capability: Although this is becoming less of an issue these days, this TV does not support 3D for those who may still be interested in this feature. The XBR65X750D’s overall picture quality was quite pleasing to my eyes. Images from my test footage which included 4K HDR, 4K, 1080p and even 480p sources, all delivered good to very good picture quality. 4K HDR images had the best picture quality; however, HDR images on this set fell short of being the best I’ve seen to date when compared to other TV’s I reviewed such as Sony’s XBR 940D and 930D. HDR images on the 750D were lacking in peak brightness, contrast range and color saturation. This type of HDR performance was most likely due to the TVs average peak brightness output, restricted contrast range, and the absence of a wide color gamut. With that said, HDR images weren’t bad on the 750D, they just could have been much better in my opinion. 4K and 1080p HD images, on the other hand, were rendered nicely on the 750D. Images were very sharp, crisp and detailed, with excellent clarity, in addition to very good image depth and transparency. Color reproduction was also good, delivering nicely saturated hues with a good tonal balance and a refined natural appearance. Contrast range on the this TV was lacking which hindered its black level performance and kept it from delivering the deep dark blacks I like to see that are typically observed on many LED TVs that use a VA panel with a well implemented backlight design such a full-array LED with local dimming. This less than stellar black level performance was due to the 750D’s use of an IPS panel, which are known for their inability to produce extended contrast range and deep black levels. However, on the contrary, all was not lost on this sets black level performance when viewed in a semi-dark environment. One of my go to scenes to evaluate black level performance is from the movie Star Wars: The Force Awakens. In this particular scene, Darth Vader’s mangled helmet was rendered with decent and nicely saturated black coloration. I must say I was surprised with this level of performance coming from an IPS panel. My thoughts on why this accrued was most likely due to the fact this TV uses a direct-lit LED backlight design to illuminate the display panel. And as I mentioned earlier, this lighting technique can improve contrast and black level performance. For the record however, I didn’t compare the 750D directly to another LED TV using a VA panel, which most likely would have revealed the 750D’s true short comings in the areas of contrast and deep black levels. While viewing other scenes from the movie mentioned above, shadow detail in dark scenes showing minimal lighting revealed good visibility and surface detail on objects within these darkly lit scenes. Sony’s X-Reality Pro is well known for its excellent 4K upscaling, and its implementation within the XBR65X750D did not disappoint. Well mastered 1080p content looked very good on this set and could easily be mistaken for true 4K content. 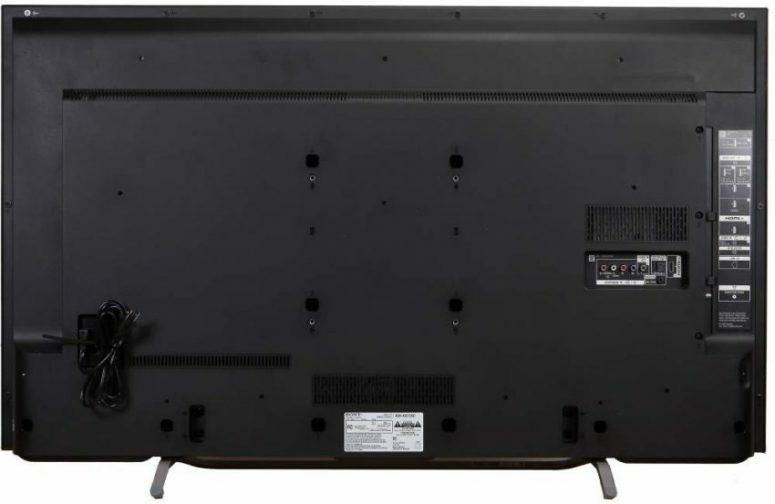 Screen uniformity while viewing normal content on this TV appeared to be satisfactory and didn’t reveal any light bleed or flashlighting. Motion handling was very good on the XBR750D. And while viewing my test footage of a basketball came shot in 4K, court action revealed very smooth and artifact free images during this fast passed event. Side angle viewing was a very strong attribute on this display considering its use of an IPS panel which usually deliver very good off-axis or wide angle viewing. Viewing this set from typical wide angles shows virtually no contrast or color saturation loss. Sound quality: The audio output from the TVs two down firing speakers was below average for a flat panel design. The overall sound was very thin and hollow in nature, and as expected bass output was non-existent. So a quality soundbar is definitely recommended for this TV. I chose the Custom picture mode when setting up the 750D for evaluation. Use the Standard picture mode as an alternative if you find the picture quality when set to Custom mode too soft or flat/dull (primarily in sports programming) in appearance for your liking. The Standard mode will give the image more vibrancy and punch without being harsh or over processed in appearance. If using this picture mode, be sure to turn off the Black adjust and Adv. contrast enhancer found in the Advanced settings menu. In the end I enjoyed using the Sony’s XBR65X750D. 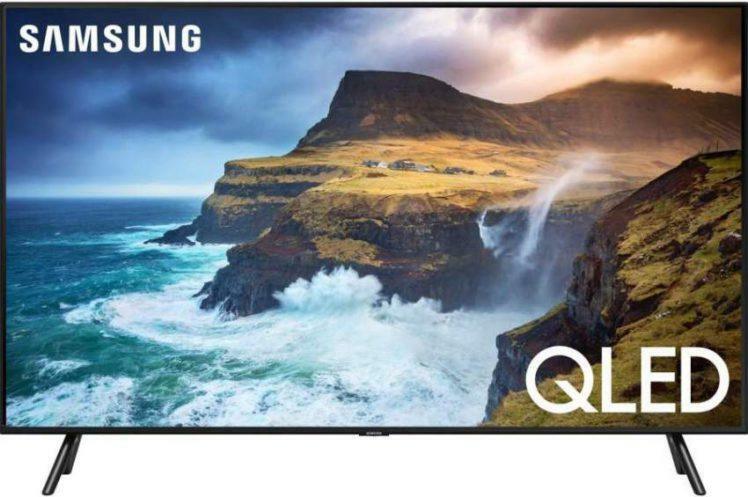 The picture quality was quite good in most regards in my opinion, with the exception of some contrast and black level deficiencies that may or may not be an issue for some consumers while watching this TV in a semi-dark or completely dark viewing environment. On the other hand, this ought to not be an issue at all when viewing this TV in a well lit room which can make contrast and black level issues less apparent. Where HDR performance is concerned, I felt it could have been better on the 750D, which was affected by the TVs limited contrast range. With that said, the 750D did deliver a well defined picture image that was sharp and detailed, with good color reproduction while viewing 4K and 1080p high-def images. 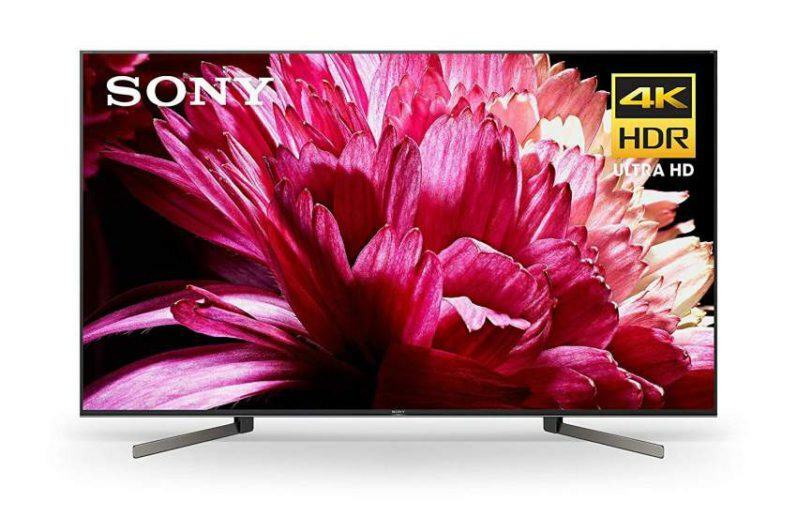 So if you’re looking for large screen entry level 4K HDR smart LED TV that is available at an affordable price point, and aren’t overly concerned about seeing the deepest black levels in your picture images, then I suggest you take a look at the XBR65X750D. •	With stand: 50.0 lbs. •	Without stand: 47.4 lbs. Hi Thanks for your review. I have a question using the Netflix app on this TV. I have the latest firmware update (with HDR), a 25mb internet speed connection. But when I play Marco Polo (which is described as HDR in the Netflix app) I’m not sure if its being played as HDR content or not. As the Netflix app doesn’t have the option to see the display mode, is there any way to see if the app is playing HDR or not? I tried a few other HDR/4k videos in YouTube or via USB, and they look awesome on the TV. So would be great if someone could help me to clarify , how to know if Netflix is playing it as HDR or not. To the best of my knowledge and after speaking with a Netflix rep, the NetFlix app will not show an HDR label when it is streaming in HDR while viewing HDR content. However, if you press the “Display” button on the Sony remote while watching Marco Polo, it will show the the picture resolution as 2160p which is 4K Ultra HD. You can also check the “Picture adjustments” menu on your 750D and the “Picture” mode will show “HDR Video” if the TV is receiving an HDR signal. Furthermore, all HDR content is not created equal, and some titles will appear better than others. Try another Netflix HDR title and see if it has better picture quality. Thanks Milton for your response. I saw that netflix was actually playing it as HDR but it looks a little dark. At the moment im very happy with this tv. It replaced my sony 55″ w900a (2013 model). You welcome and thank you Gonza. Good to know you resolved your HDR concerns and that you’re happy with the XBR750D.